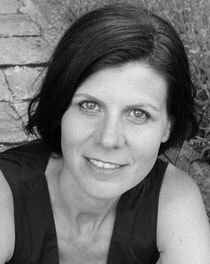 Anne provost is born on born 26 July 1964 and is a Flemish author who now lives in Antwerp with her man and her three children. She grew up in a family of four children in West Flanders and went on to pursue Germanic studies at the linked universities of Kortrijk and Leuven. she had been writing stories since childhood. She having married Manu Claeys went to join him in Minneapolis, where he was studying American literature. She returned to Belgium in 1989. Anne Provoost is known for remaking myths, folk tales, fairy tales, and bible stories. She was made a member of The Royal Academy of Dutch Language and Literature in 2003. • Second Letter to Hans Christian Andersen . • Bad endings for children. Hopelessness and consolation; growing up, willing or not. • So here's the bad news. The child as an antagonist . • Identification in Falling. If goblins don't exist . • 2008 - The Netherlands, Woman&Culture Award for Looking into the Sun.